Please see descriptions below for a list of course descriptions. For up-to-date dates, check out the course calender! Join me for this 2 step workshop and learn some strategies that will increase your energy, expand your self-awareness and empower you to make these positive changes in your life. The course cost is $275 plus GST (which includes the course material, Flower Essence Repertory). This amount is due when registering for this workshop. 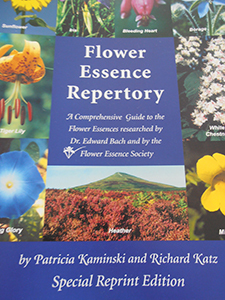 Using the Flower Essence Repertory, you will learn how to make daily adjustments to your energy aura. You will acquire the tools to determine which flower essences you need to make these changes in order to ehange your daily energy vibration. In addition, you will receive information regarding other flower therapies. The course cost is $175 plus GST (which includes the course material, Flower Essence Repertory). This amount is due when registering for this workshop. We are pleased to offer additional sessions! These courses are designed to help you continue your Vibrational Healing journey. Using dõTERRA Essential Oils and the Bach Flower Essence Guide, in this workshop you will learn how to create balance on all levels ~ physical, emotional, mental and spiritual. Cost: $149 plus GST – includes 6 essential oils kit and handouts with descriptions of how the oils and their matching flower essences will improve your health. A Mastermind is a group of like-minded individuals who have a common purpose for success (their own or their group’s). We will study the concepts of the Law of Attraction and how they can be applied personally or in business.